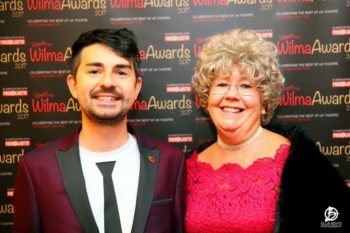 Yesterday, Friday 3 November 2017, the fourth annual West End Wilma Awards (this year in association with Free@Last TV Ltd), took place at London’s Delfont Room in the Prince Of Wales Theatre. Host Tim McArthur opened the show with a performance of Dangerous Cabaret from his debut album Don’t Be Anything Less, Best Comedy nominee Tina Turner Tea Lady gave a hilarious performance and Kieran Brown returned for the fourth year with a comedic re-written version of Don’t Rain On My Parade from Funny Girl. Special guests at the ceremony included Chris Jenkins, David Hunter, Jordan Fox, Emma Williams, Gareth Snook, Jodie Jacobs, Bleu Woodward, Joel Montague, Kelly Mathieson, Tim Woodward, Martina Cole, Natasha Barnes, Nicole Faraday, Oliver Savile, Rachel Tucker, Scott Garnham, Nikki Gerrard, Samuel Blenkin, Shona White, Summer Strallen, Suzie Mathers, Theo Ancient, Tracie Bennett, and many more. 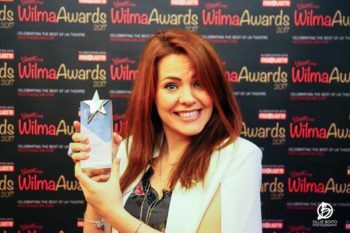 Rachel Tucker picked up the award for Best Cabaret/Solo Performance for the second time in Wilma Awards history and was presented the award by former Wicked co-star Suzie Mathers who was joined at the ceremony by former Fiyero Oliver Savile making it a Wicked reunion! 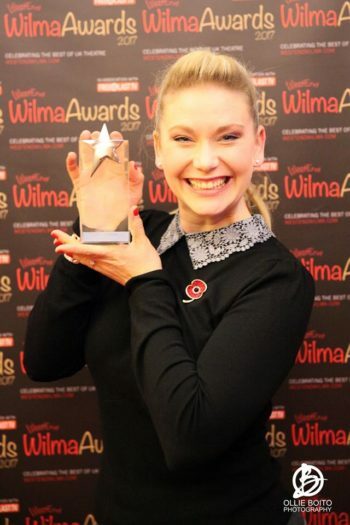 Half A Sixpence star Charlie Stemp (currently in New York rehearsing to join the cast of Hello Dolly) won this year’s Rising Star award and Emma Williams picked up Best Performer In A West End Show for her role in the show. Best West End Show went to Harry Potter and the Cursed Child and the stars of the show Samuel Blenkin (Scorpius) and Theo Ancient (Albus) collected the award. For a full list of winners see below. 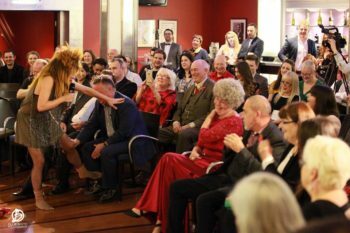 This year saw the introduction of the Achievement In Creating Accessible Theatre Award, recognising venues who not only ensure they are fully wheelchair accessible but also provide a good programme of adapted performances for those with disabilities that may mean they are unable to attend regular performances. The award was presented to the Park Theatre, recognising their outstanding work around making theatre accessible to as many people as possible. Park Theatre is a venue that strives to be welcoming and inclusive to all. Key to this is ensuring that those with any visible or invisible disabilities or impairments are able to attend and enjoy the performances and activities offered in our building. In Spring 2017 they offered a full range of accessible performances, including captioned, audio described, parent and baby, dementia friendly and relaxed. So that’s it for another year! Huge thanks to everyone who helped make the day such a huge success. All of the sponsors, presenters, performers and everyone on stage and back stage. 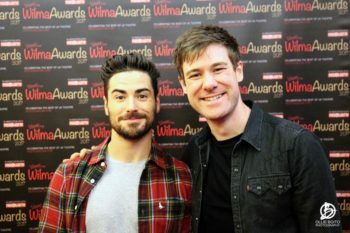 See you next year for the 5th annual West End Wilma Awards!